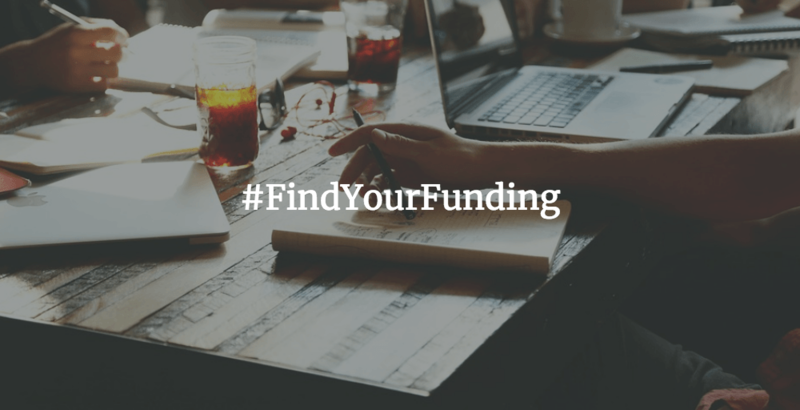 As always, be sure to check with each funder with regard to focus, fit, funding amounts, deadlines, and approach before applying. Multicultural Innovation Lab 2019 – Building a community of early stage technology and technology-enabled startups led by women and multicultural entrepreneurs, hosted within Morgan Stanley. Due January 4, 2019. Startups ignite – Accelerate24 Winter Cohort – Our Accelerate24 program is mentorship driven 3 month accelerator working with select early-stage startups to validate and scale business model potential, collaborate with advisors and peers, and ultimately launch, grow, fund, and build defensible and scalable products in Marketplace, SaaS, Enterprise and Emerging Technology categories. Due January 6, 2019. 2019 PropelHER Pitch Competition! – An exciting opportunity for women business owners to showcase their businesses or business concepts to compete for cash prizes and in-kind services. We invite women business owners from all disciplines to participate in NAWBO Orlando’s PropelHER Pitch Competition to see if they have a winning pitch! Due January 10, 2019. Boomtown Accelerators Spring 2019 – Boomtown is a Boulder, Colorado, USA based 12-week startup accelerator program which works with a select group of promising startups to optimize, revolutionize, and accelerate their development and growth by combining a robust and customized educational curriculum, hands-on mentor network, extensive industry connections, and the hottest Demo Day in Boulder. Due January 10, 2019. SXSW EDU – The fifth annual Student Startup competition will take place at SXSW EDU, March 2019. The competition welcomes all high schools students to submit an application for the chance to pitch the team’s latest business idea to a panel of judges and a live audience. Due January 11, 2019. HERImpact DC Social Enterprise Pitch Competition – HERImpact DC offers female entrepreneurs in the area, educational opportunities, technical assistance, mentoring, coaching, and financial resources to encourage creative thinkers with plans for small businesses or startups that will also make their communities better places to live. Due January 11, 2019. Food-X Accelerator Program – We provide startup capital, hands-on help, mentorship, and our global network of food business thought leaders. Our fast-growing family of hundreds of experienced entrepreneurs, industry experts, and growth hackers are keen to pass their hard-earned experience and knowledge on to you. We are eager to help you overcome your production woes, identify the right marketing message, improve your user experience, or figure out the retail distribution. Due January 13, 2019. Apple Entrepreneur Camp – Research shows that women face unique challenges in technology, especially when starting and leading companies. That’s why we created Apple Entrepreneur Camp, for organizations founded and led by women. Our goal is to help these entrepreneurs as they work on the next generation of cutting-edge apps and to form a global network that encourages the pipeline and longevity of women in technology. Due January 14, 2018. Techstars – Techstars helps entrepreneurs succeed. Through the Techstars Worldwide Entrepreneur Network, founders and their teams connect with other entrepreneurs, experts, mentors, alumni, investors, community leaders, and corporate partners who will help their companies grow. Techstars operates four divisions: Techstars Startup Programs, Techstars Mentorship-Driven Accelerator Programs, Techstars Corporate Innovation Partnerships, and the Techstars Venture Capital Fund. Due January 21, 2019. Working together to apply AI for social good – Google.org is issuing an open call to organizations around the world to submit their ideas for how they could use AI to help address societal challenges. Selected organizations will receive support from Google’s AI experts, Google.org grant funding from a $25M pool, credit and consulting from Google Cloud, and more. Due January 22, 2019. Google AI Impact Challenge – At Google, we believe that artificial intelligence can provide new ways of approaching problems and meaningfully improve people’s lives. That’s why we’re excited to support organizations that are using the power of AI to address social and environmental challenges.Selected organizations will receive customized support to help bring their ideas to life: coaching from Google’s AI experts, Google.org grant funding from a $25M pool, credit and consulting from Google Cloud, and more. Due January 22, 2019. ArtsAccelerator Grants – ArtsMemphis, is pleased to offer six $5,000 ArtsAccelerator Grants in 2019 to visual artists living and working in Shelby County. The ArtsAccelerator Grants are incentive grants for visual artists who are at a critical juncture in their careers and are intended to deepen and expand artistic work to advance the grant recipient’s artistic accomplishments. The ArtsAccelerator Program supports artists working in any media, including painting, sculpture, drawing, photography, installation art, performance art, video art, or social practice (as defined below). Due January 22, 2019. It’s Digifest 2019 – Project entries or ideas must be the original work of the applicant(s) and the business must be registered 3 years or less. Applicant(s) who have submitted to IT’S A START pitch competition in the past and have not qualified as a finalist can re-submit a proposal, however, you must be able to demonstrate how the project or idea has changed. Due January 25, 2019. Alphalab Gear 2019 Application Deadline – AlphaLab Gear is a nationally-ranked hardware accelerator in Pittsburgh, PA. Hardware Cup is an international pitch competition with a $50k grand prize. At AlphaLab Gear, we guide early-stage physical product companies through a 30-week program, providing funding, office space, education sessions, connections to customers, and mentorship from experts. We follow the program with an optional eight-week manufacturing-focused module. We take companies from an initial idea or prototype, through engaging early customers, to fulfilling demand by manufacturing at scale. Due January 27, 2019. Ocean Accelerator – Ocean Accelerator is a high-tech startup accelerator located in the heart of downtown Cincinnati, Ohio. Ocean helps entrepreneurs scale their business with knowledge, relationships, coaching, and seed funding. We enhance the holistic growth of entrepreneurs by integrating a spiritual journey that explores how investing in a founder’s financial, intellectual, physical, relational, and spiritual resources can create sustainable growth in the marketplace. Due January 30, 2019. WBENC SEP pitch competition – “WBENC SEP is perfect for any young entrepreneur. The keynote speakers, business fair and networking events were all invaluable. But the true value of the program lies on the connections you make– connections with corporate executives, entrepreneurs that will allow you to grow your business in unimaginable ways. I feel inspired by all of these amazing women and ready for the next step in my career.” Due February 22, 2019. URBAN-X Spring 2019– URBAN-X is a venture accelerator built by MINI and Urban Us for startups reimagining city life. MINI experts guide founders in design, manufacturing, engineering, marketing, community building and branding. Urban Us connects startups with the leading community of founders, investors, companies and city officials. Together, we’ve invested in many of the leading startups working on city solutions. Due February 28, 2019.